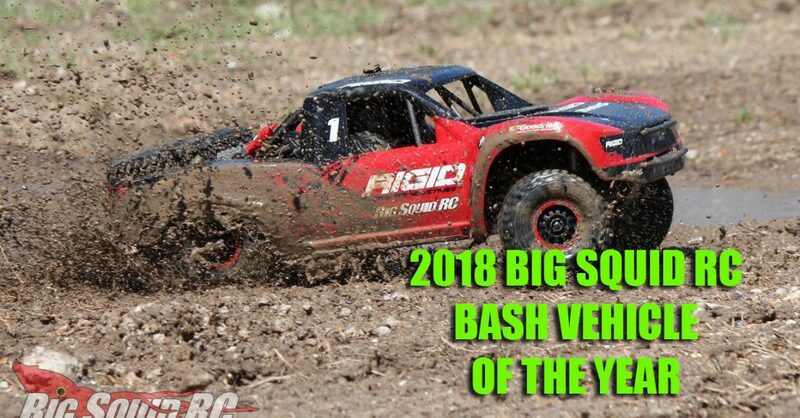 2018 Bash Vehicle of the Year « Big Squid RC – RC Car and Truck News, Reviews, Videos, and More! 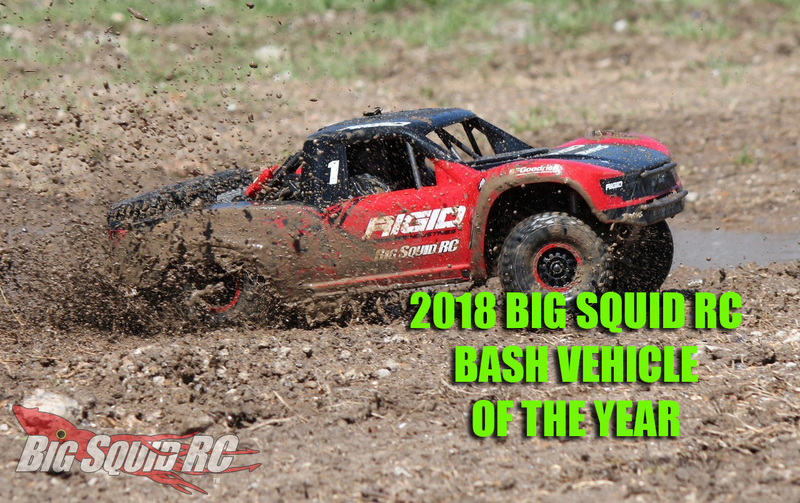 As is tradition around here, the Big Squid RC crew gathered around and hashed out the 2018 Bash Vehicle of the year. I have to say this year was a rough one! Normally we all make some vehicle picks, and it comes down to 2 pretty quickly, then everyone agrees on an obvious choice, but that was not the case this year! This year there were some serious arguments of what vehicle was going to take home the crown, so that being said all of these vehicles being named today are seriously in the top of their league, and if you are in the market for something similar, these 2018 releases will make you very happy no matter which one you choose! Ok, all of that out of the way, congratulations this year to the Traxxas Unlimited Desert Racer for taking home the almost too close to call win! The Traxxas UDR was a beast, it’s got amazing scale looks, it drives and handles scale, and the durability has been incredible. All of that and a $699 price point, put it at the top. The runners up are also two of the top vehicles in their classes, and very easily could of been at the top of this list. The Losi Super Rock Rey has some amazing scale looks, and handles great. If you are looking for a 1/6 scale vehicle, look no further! The new ARRMA Granite 4×4 3S was the other big contender this year. We have always been huge ARRMA Granite fans, the new design, durability, and $299 price point is a killer combination! If you are in the market for a new monster truck, you won’t go wrong with this one. Get more information on the TRAXXAS Unlimited Desert Racer, the ARRMA Granite 4×4 3S, and the Losi Super Rock Rey here on Big Squid RC.